India is among the fastest growing economies in the world, despite recent challenges caused by the withdrawal of high-denomination bank notes in a bid to tackle corruption. The IMF predicts that cash shortages will gradually dissipate, with economic growth picking up to 7.2% in 2017/18. Which sectors are fueling the Indian economic engine? India is now an established technology powerhouse. Home to 40% of the country’s IT industry, Bangalore has emerged as the most dynamic city in the world ahead of Silicon Valley (Jones Lang LaSalle's annual City Momentum Index, or CMI). It's time to move on from the clichés about call centres and outsourced IT services. Bangalore is a real technology hub, with dozens of new companies for Indians by Indians. 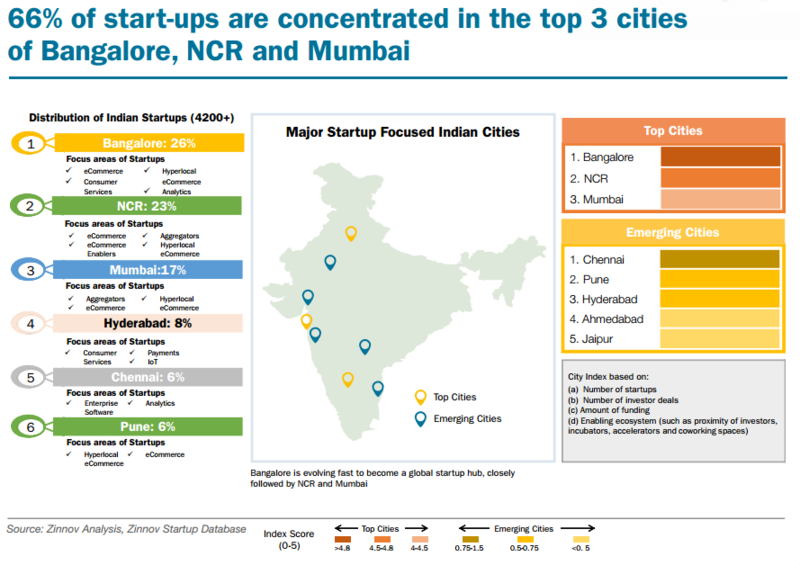 The number of start-ups in Bangalore rivals those in the global top tech cities, with San Francisco research firm Compass rating it the second fastest-growing start-up ecosystem in the world, after Berlin. All this innovation explains why India has taken over from China as home to some of the world's most dynamic cities. Six Indian cities feature in the City Momentum Index Global Top 30. India has been ranked the world's top exporter of information and communication technology in the Global Innovation Index, published by the World Intellectual Property Organisation (WIPO), Cornell University and INSEAD. India is also in 8th place for the number of science and engineering graduates. The telecoms industry is massive and the government aims to grow exports by 25% in the next five years. The Indian government is investing in renewable energy and a report from the The Energy and Resources Institute says that if the cost of renewable energy and storage continues to fall at current rates, India could phase out coal power completely by 2050. India is doubling the scale of the country’s solar parks and is one of the most vibrant markets for the solar industry. The giant solar power Adani plant in southern India is one of the largest in the world with the capacity to power 150,000 homes. "The government is very clear about its solar plan, and large installations are key to this plan," said Aruna Kumarankandath of the Centre for Science and Environment in Delhi. Prime Minister Narendra Modi "is a real evangelist", and has prioritised solar to meet the renewables target, she said in the Economic Times. Other growing sectors are banking, pharma particularly generics, as well as the retail sector propelled by e-commerce and a young population with more spending power.